Inscribed in extremely small numerals at the upper-left corner: “45”. 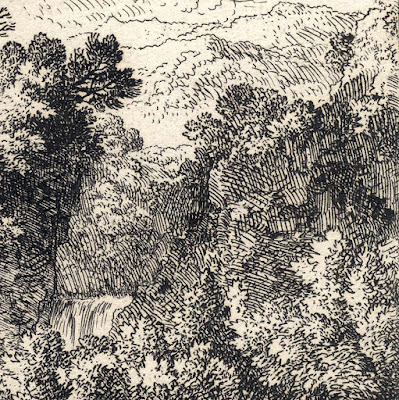 State ii (of iii) with the plate polished and the Zingg number, “45”, inscribed before it is erased in state iii. 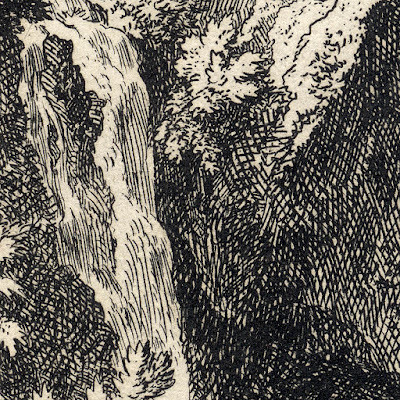 Note: I needed to use a loupe to see the inscribed number as it is so small! Linck 153-II (III) (JF Linck 1846, “'Monographie der von C. W. E. Dietrich radierten, geschabten und in Holz geschnittenen malerischen Vorstellungen”, Berlin, pp. 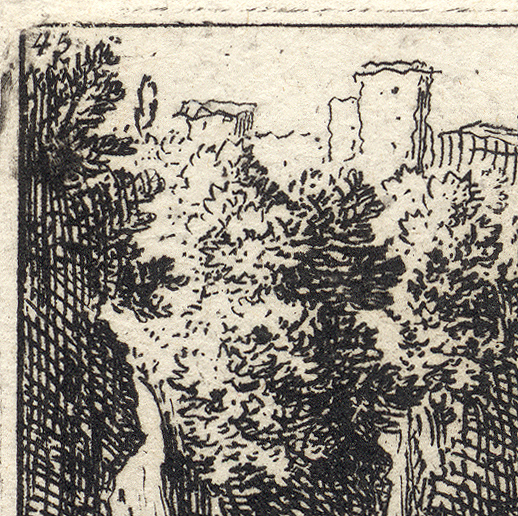 251–52, cat.nr. 153); see also the description of this print held by the Rijksmuseum: http://hdl.handle.net/10934/RM0001.COLLECT.105713. Condition: richly inked impression in near pristine condition with small margins varying in size but approximately 2 cm. 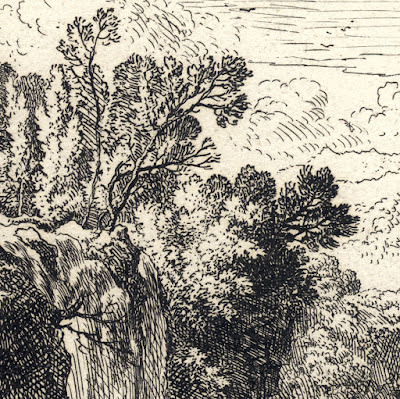 On the back of the sheet there is a very pale offset of another print. 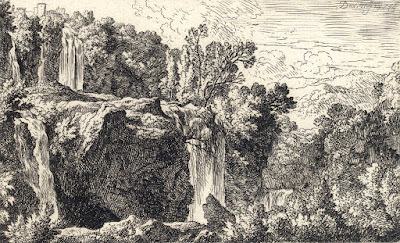 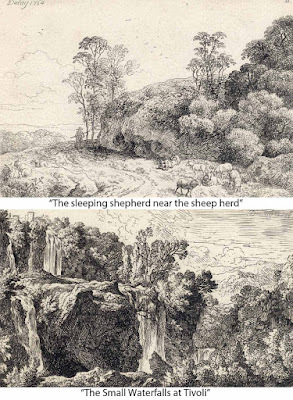 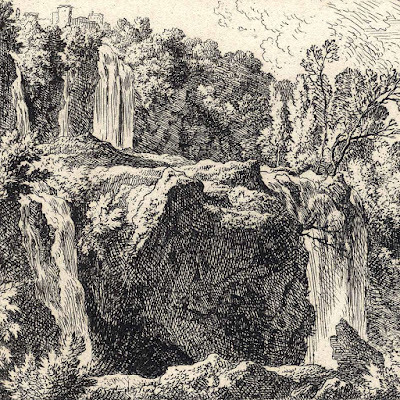 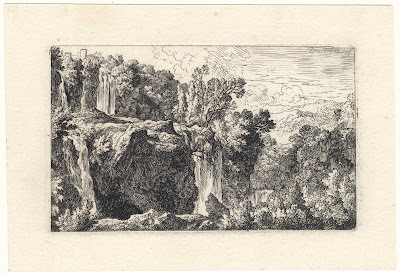 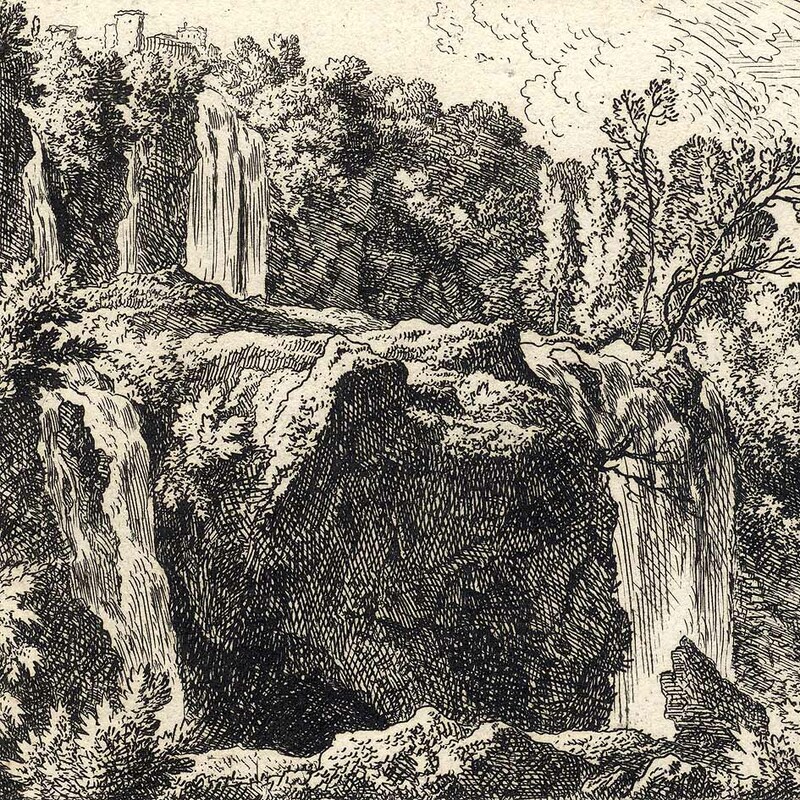 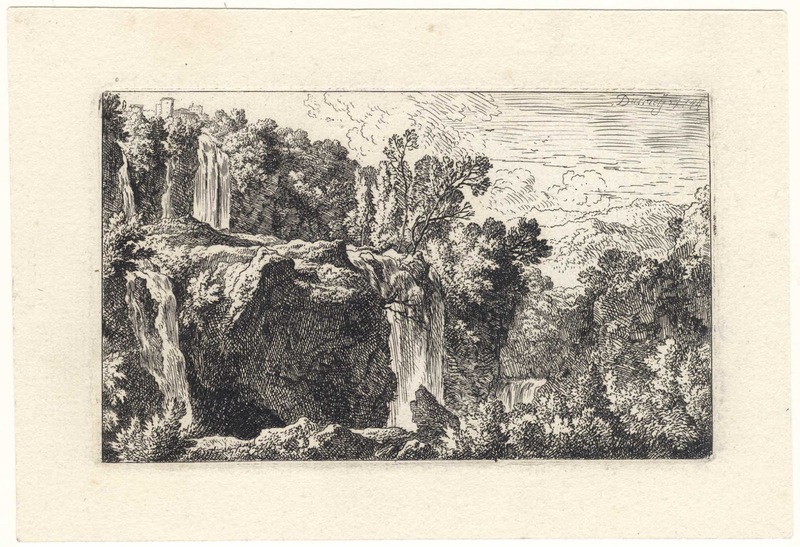 I am selling this small but exquisitely rendered etching of the waterfalls and cascades at Tivoli (Italy) for the total cost of AU$157 (currently US$124.83/EUR104.57/GBP96.62 at the time of this listing) including postage and handling to anywhere in the world.